The Kiwanis Club of Greater Parsippany Foundation Inc. awards grants from the proceeds of various annual fundraisers. Applications are reviewed three times during the year at Foundation meetings. If an immediate response is needed, this should be indicated on the grant application. The grant application must be completed in its entirety for the request to be reviewed. Attachments with additional descriptions or explanations should not exceed two typed pages together. Additional supporting materials may be submitted with an application. Completed applications should be sent to the Kiwanis Club of Greater Parsippany Foundation, Inc. at the address listed above, or email Kiwanis Club of Greater Parsippany Foundation President, Frank Cahill – flcahill@parsippanykiwanis.org.  Decisions for grants are at the discretion of the Kiwanis Club of Greater Parsippany Foundation, Inc. and the foundation reserves the right to reject any application without explanation. Click here to download Kiwanis Club of Greater Parsippany Foundation, Inc., bylaws.